What is a title field? 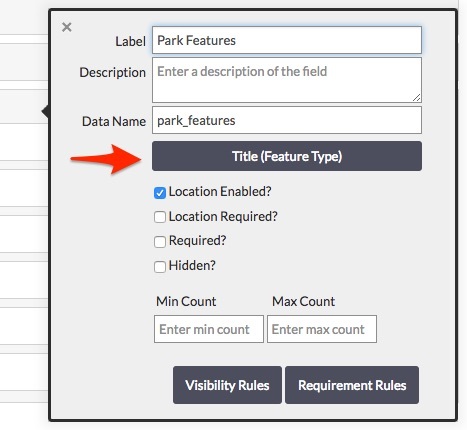 Understanding how title field settings work in Fulcrum. 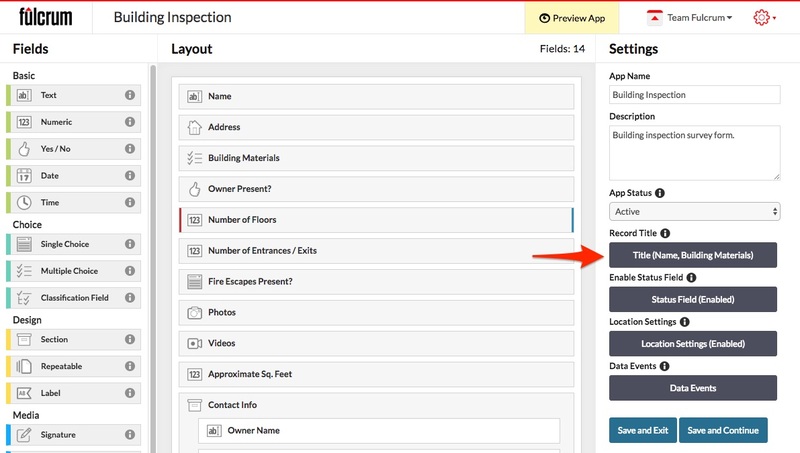 Up to 5 fields within the app can be appended together to set the record title. It is a good idea that you make sure at least one of the fields is a required field. 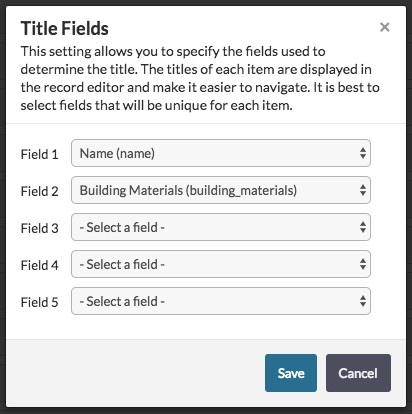 If no fields being used for the record tile contain values Fulcrum will use the first text field that contains a value as the record title until the fields have values. Within the App Designer, you can set the record title property which will display on the web or mobile as the primary identifier for a record. After clicking on the title button you will have the option of settings upto 5 fields to use as the record title. On the mobile applications, this is the attribute that will display in the preview when tapping on a pin, or as the main identifier in the table layout. with repeatable sections you can also set fields that are contained within the repeatable section to be used as the title for the child records that are created. The option to set the title for a repeatable section is found in the repeatable section options popup. On the record editor, there is a column that is will display the record title in the table. On the map, you will see the title of the record when you hover over top of a record with your mouse.